This can be used as a center, assessment, or group activity. 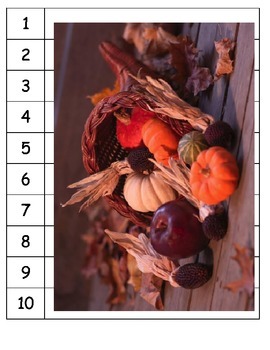 Here are 5 Thanksgiving themed skip counting puzzles. These can be printed on card stock, laminated, and cut apart. 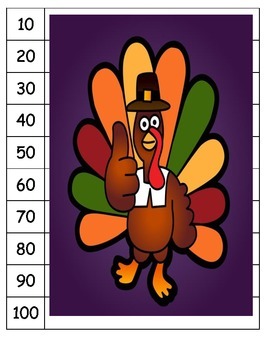 You can put them all together in one center to have the students sort them by design and then put the puzzles together. Or just make 5 different centers. 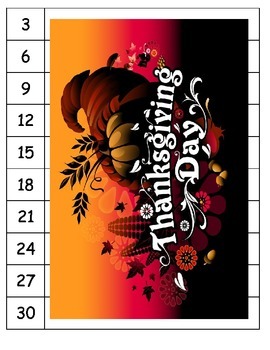 If you need certain puzzles or certain holidays, just let me know. I will be happy to make them for you. If you are in need of a certain activity to go with a lesson you are doing, feel free to contact me and I will be happy to make something for you. I value my positive 4.0 feedback. If there is a problem, error, or you don't understand, or need more information, please contact me before posting low feedback. I will correct the issue or try and make things right. Please become a follower of my store, so you will know when I list new items. I am trying to list new things every week. Thank you for your time and purchase.